It’s only when you fly the nest that you begin to realise just how expensive everything is. Everything has a price tag and that includes all of the necessities you will need. Having water running through your taps is one of those essentials and of course having heating in those cold winter months. I know that we pay a pretty standard rate throughout the Summer and the Winter, so that even though we don’t use any heating in the Summer months, we have a reserve in the Winter for when it is getting a regular work out. You may have recently seen a advert on the television introducing Hive. Hive were set up back in 2012 by British Gas, and they are introducing a state of the art technology into our homes that can help sync our homes… with our day to day lives. 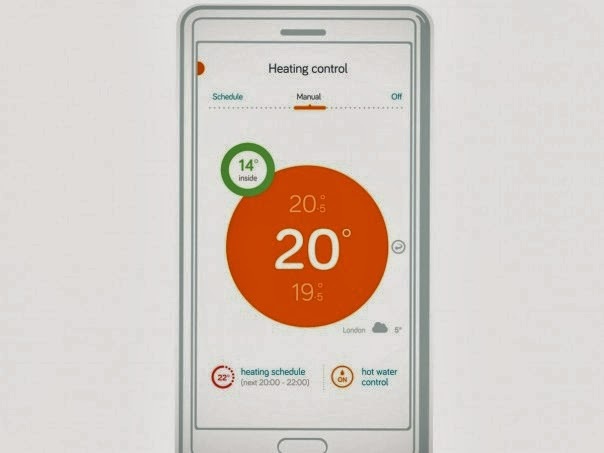 Everything these days seems to run through an app on our smartphones, Hive have used this state of the art technology of theirs and turned it into a range of easy to use products, for you and I to manage our heating and hot water remotely… from our smartphone, tablet or laptop! Hive Active Heating ultimately helps you save energy and money on your heating bills. It puts you in control of the energy you are using and with the guidance and advice offered by Hive, you can begin to reduce your bills. There are times when you are out and about during the winter months, and you long to get home to your warm abode.. But you suddenly realise that you neglected to set the heating to turn on… With Hive you can simply use the app to turn the heating on (or the hot water for that matter) so that when you do arrive home, the house is toasty warm and fit for business. Hive offer a professional installation by one of their trained engineers, they come out and do all the nitty gritty work for you and show you how to use your new system. All of this only takes around an hour to get installed and it actually runs off your existing heating system, regardless of who you are signed up with. This is not just for customers of British Gas. Hive works by means of a wireless receiver, thermostat and hub. The hub actually gets connected up to your broadband router so that your thermostat is online in order to correspond directly with your online dashboard. Hive costs £199.00 including the installation. If you take into account what the average family saves per year, then the initial investment isn’t actually that steep and very quickly pays for itself.